When you’re moving to a great neighborhood near beaches, arts and entertainment, you have a lot to look forward to. Start with a stress-free approach and get full-service moving, from packing and loading to transport, storage and placement. We’ll handle the packing and moving while you enjoy the new neighborhood and settle into your new home. You can leave even the smallest details to us and still save time and money. You’ll be glad you did. When you’re moving to the ‘Venice of America’ with its canals, waterways and Mediterranean-style homes, it pays to know the neighborhood and its roadways. Get your belongings moved in quickly and efficiently by professional movers who know the locale. Our full-service moving leaves you worry free, so you can move on with your new life in your new home in sunny Ft. Lauderdale. Moving your startup, restaurant or office? 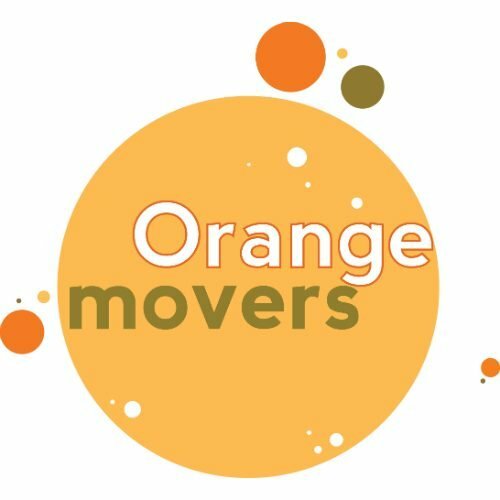 Get a ‘hands-off’ experience with Orange Movers. Just as you would delegate a work project to your staff, you can call on us to oversee your relocation. Whether you’re moving into the highrises of downtown Ft. Lauderdale or the smaller buildings in the area, we’ll handle all of the details, while you focus on conquering the industry. With local art events, food and wine festivals and car and boating shows, it’s no surprise that South Floridians love the the good things in life. If your good things include artwork, wine collections or other priceless items, contact us about a specialty move. Our professionals have moved countless items with care and can easily transport your special item to its new home. It’s true. How? Besides competitive pricing, the answer is professional efficiency. It will save you money overall. Packing, for example, can count for one quarter of your moving costs. Homeowners who do it themselves often take more time, use more boxes and end up with more damaged items than those who use our professional movers. What could take you a week or more to pack will often take only one or two days for us, depending on your home. Get a free quote online, then estimate your time vs. ours and we guarantee you’ll see the benefit. After 30 Years Of Moving, The Cheapest Move Was The Best Move. – Jon F.
Instead of listing reasons why you should choose us, we’d rather point to a review by Jon F.: My wife and I have had 10 cross-country moves in my career. Cost was never the consideration, as my employer was always paying for it. This time, I was paying for it — as I’m in retirement. I picked Orange Movers because the price was right, and because Frankie Dimartini was so responsive to my needs. Well, today was the move. Their team of folks, led by Harry, was better than all of the much-more-expensive moves I had experienced before. No question about it, they did the most careful packing we had ever had; they were meticulous And they were extremely professional and quick. Bottom line: after 30 years of moving, the cheapest move was the best move. Go figure. From furniture to electronics and antiques, we’ve moved thousands of items across Ft. Lauderdale and South Florida Like most professional movers, we also offer insurance. Unlike most, we try to make it unnecessary, because insurance is a small comfort when a family heirloom or priceless item is broken. That’s why we strive to ensure our moves have zero damage. Our moving team is experienced at packing property of all types and sizes, especially fragile items. Hire us with the assurance that your belongings will be treated with care. Count on us to move: electronics, furniture, glass, china, appliances, pianos, pool tables, heavy equipment, artwork, and more. Whether you’re moving to Ft. Lauderdale or neighborhoods nearby such as Hollywood or Pembroke Pines, you’re in for a treat. With beaches, a lively arts and entertainment district, and more than 4,000 restaurants in the area, you’ll feel like you’re always on vacation. Because let’s face it: you’ll be living in an area where others go to vacation. But while the tourists come and go, you can bask in the sun and enjoyment year-round. We’ll help you get there with minimum stress and maximum savings. Read our FAQ and contact us to get started. We know life happens and we’ve been called to assist during holidays, when there’s been a change of plans or when other movers have cancelled. If our crews are available, we’ll do everything we can to be there, even if your move is planned last minute.